For use indoors and out, the Studio Bench goes anywhere your art takes you. 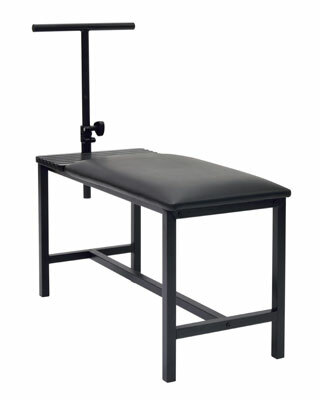 The durable steel bench is lightweight for portability. It features a 23" long padded seat while the 6 drawing board grooves and 18" adjustable post are available to steady your drawing board while you work. Adjustable Drawing Board Post: 18"